On April 11, 2017, memorial services will be held 6pm-8pm at Christian Fellowship Church MB on 1315 S. Bellevue Blvd, Memphis, TN 38106. This is the former original site of East Trigg Ave Missionary Baptist Church, the historic church home of Gospel Icon Dr. Herbert Brewster, Elvis Presley's 'favorite minister.' Memorial services will allow the descendants and the public to reflect on the Massacre and honor the fallen. The event will include speeches, music, and conversation with participants. The National Wreath Laying Ceremony will be on April 12, 2017, at the Memphis National Cemetery at 10:00 am. 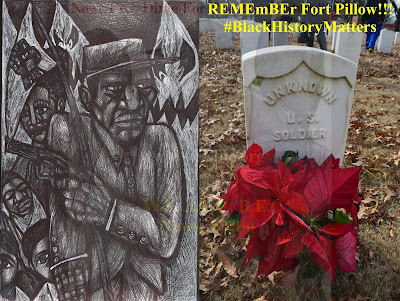 The community is also invited to share in a reception at 5:30 pm at Blount Auditorium located AT Rhodes College followed by a panel discussion entitled: "Fort Pillow Massacre Decoded: We Will Never Forget!" at 6:00 pm. Participants will include celebrity panelist Judge Joe Brown, descendant Joe Williams, Jeffrey Jones, Ronald Herd II (R2C2H2), Elaine Turner, Dr. Deborah Luckett-Day and Dr. Dee Garceau. The discussion will conclude with a short documentary film, Remember Fort Pillow. 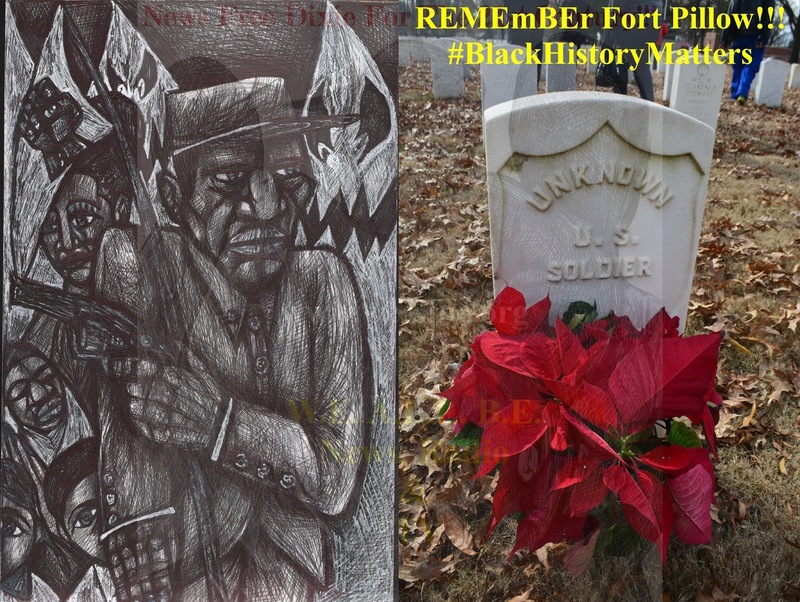 A group art exhibition, "Using Our Art To Tell Our Stories: WE REMEMBER FORT PILLOW!!!" is currently on display at The Art Village Gallery at 412 S. Main near the National Civil Rights Museum downtown. The art show features work by some of the top African American artists in the mid-south region. 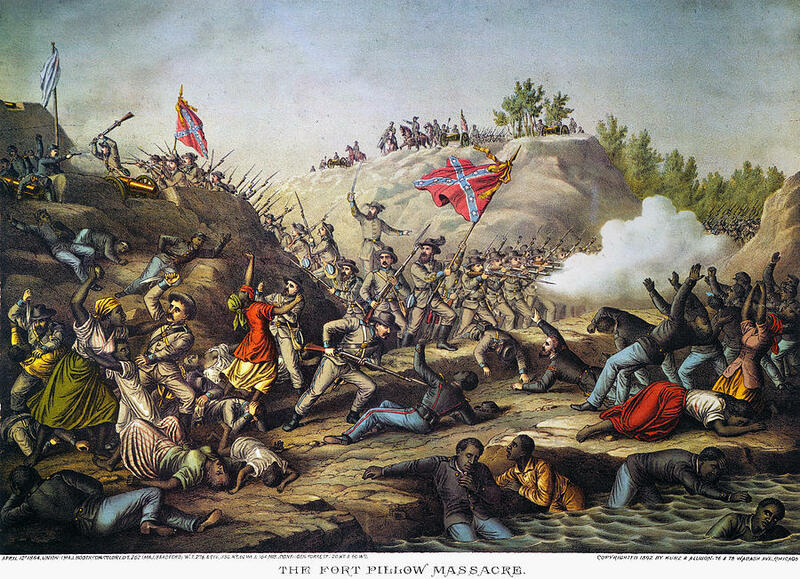 It is the first known art exhibit of record featuring the works of African American artists inspired by the Fort Pillow Massacre, a dark chapter concerning race relations in American history. The art show will close Friday April 14.